This entry was posted on 24 aprile 2010 at 23:42 and is filed under Curiosità with tags bag, borsa, creative sewing, cucire, cucito, cucito creativo, fatta a mano, handmade, recycle, riciclare, stoffa. You can follow any responses to this entry through the RSS 2.0 feed. You can leave a response, or trackback from your own site. 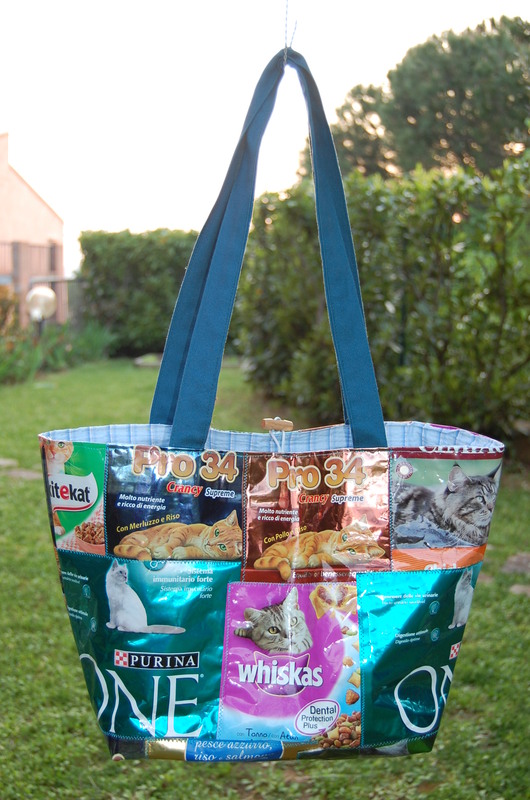 PER GLI AMANTI DEI GATTI E DEL RICICLO!! !